Before Tom Hanks accepted the mantle of America’s Dad, he played what may be his most famous role to date: Forrest Gump. And as the titular character of film, he delivers a nuanced performance — one that involves him mooning the president. And both he and his wife are really happy about that! 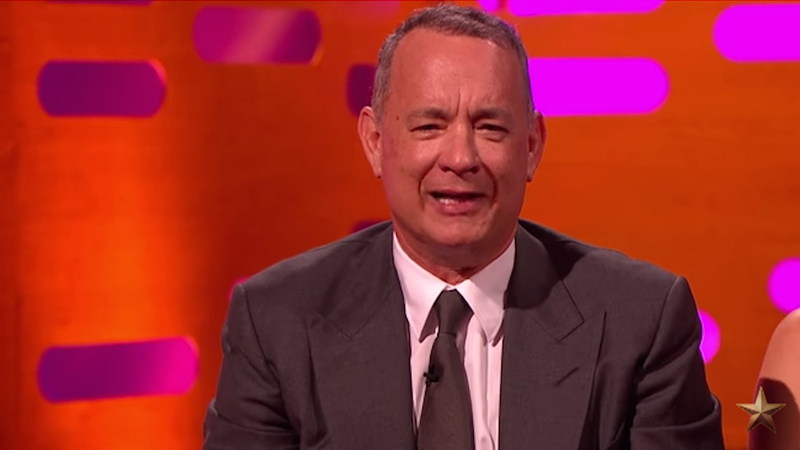 In a recent appearance on The Graham Norton Show, Hanks explained that the cross-country running in the film had required intense physical training on his part. But that effort manifested itself in, among other things, an especially firm booty. Hanks has no qualms with his wife’s practice; he openly declares that his Gump bum is “a beautiful thing to behold.” Ugh, DAD.